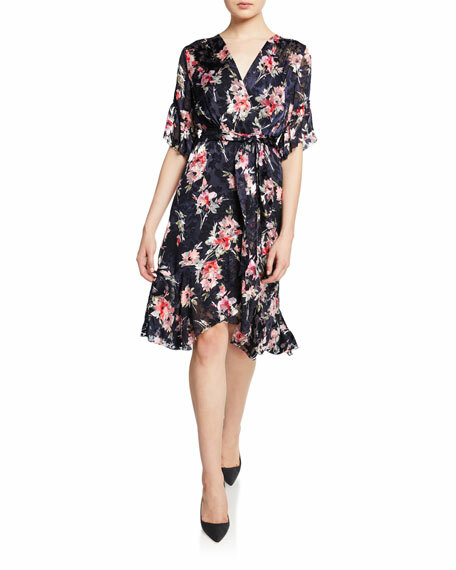 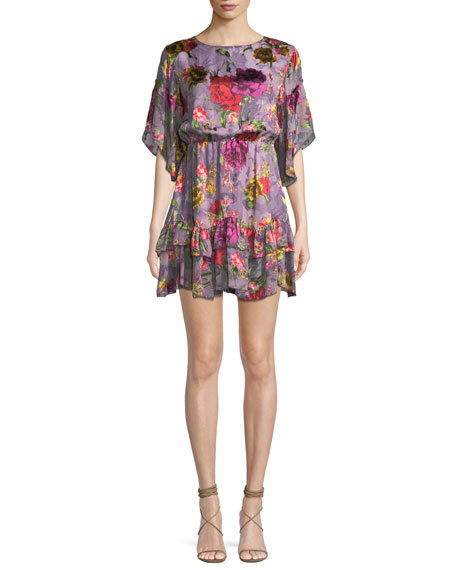 Haute Hippie "Romani" floral-print silk dress. 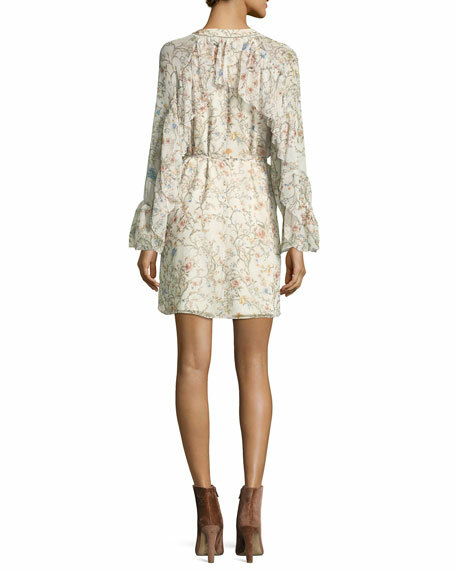 Long sleeves with ruffled frills. 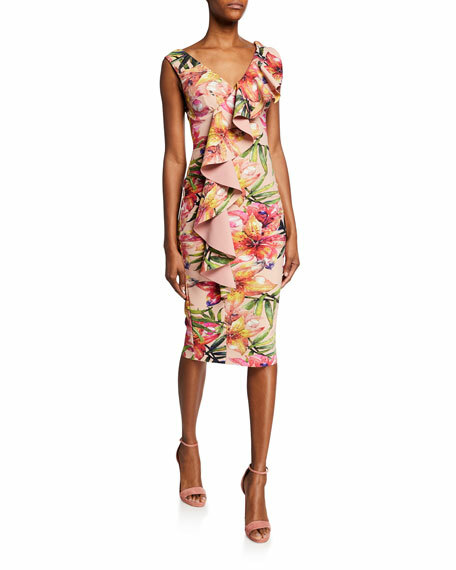 For in-store inquiries, use sku #2467191.